That's right. 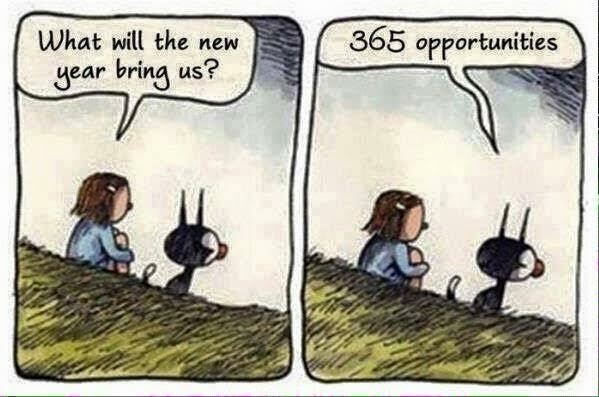 Every single day is a new opportunity. Every. Single. Day. And if ever you're feeling down about not reaching your writing goal, or getting stuck on a blank page, or sales hitting an all time low, then do this: Make a mental list of the things you've accomplished, whether writing related or not. For example, I wanted to finish the first draft of the second book in the Family Relics series by the end of 2015. I didn't even start it. It was outlined, to a very detailed point that I think I may have killed the spirit of my own process. It turned me off. I couldn't even complete a single page without deleting everything. So, I failed that goal. But, what other goals did I reach in the Fall of 2015? I ran several 10ks (probably a stress release for me for not writing my first draft) and am on a 2x5k per week running schedule, even in the cold. I wrote several short stories that I've submitted to publications and competitions. I've received a ton of tremendous feedback on a couple of the stories from beta readers. I participated in NANO, and though I didn't finish in November I finally finished it in December. I created a thriller on Wattpad and added a few stories to my Isabel & Leo collection, a collection of short stories of a couple's everyday life. Realizing my accomplishments made my failure seem a lot less excruciating. Don't overlook your other successes, they take time and effort like anything else. And, sometimes failures are just temporary setbacks. I was so miserable during the Christmas vacation, about not writing the first draft, that I failed to see the solution to my problem. That's right - I chucked the outline and started fresh. This week, I wrote the first two chapters from the heart, no script. The story is already rocking my world! I've found that we spend far too much time thinking about what we didn't achieve. It's better to look at what we've accomplished, even if those accomplishments aren't writing related. It's true, Stephanie, that we tend to focus too much on the negative. And when I'm in that funk, it takes a good while before I get out. Stepping back and away from it helps to look at things from a different perspective. The Christmas break was exactly that. You've accomplished a lot! I find it's always better to focus on what you did rather than what you didn't. And you're right - there are new opportunities every day! I was super blessed to grow up with a Mom who never cared if I failed. When I did, she just said, "What did you learn?" Once I could tell her what I learned from whatever I failed at, she always said, "Then it wasn't a waste." Such a cool principle to learn. Harder to execute, but cool to understand. Your mom was a smart cookie. It's a tough lesson to practice and to teach. Gotta stay positive. You did so much even if it wasn't what you thought you'd accomplish. Even a failure can be a success. Simply add it as a learning experience and you shouldn't make the same mistake again. 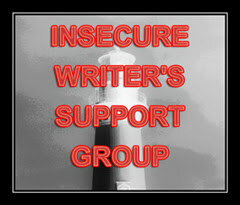 During this IWSG session I made myself a goal of getting a chapter done in my short story series. It helped motivate me so much, I've already accomplished my goal. Part of the reason for this was my December goal getting more writing done. When I didn't do that, I redoubled my efforts after I declared my new goal. I've found running a 5K helps with writing. I can't count the number of times I've come up with a great idea while I was running. Keep up the good work!